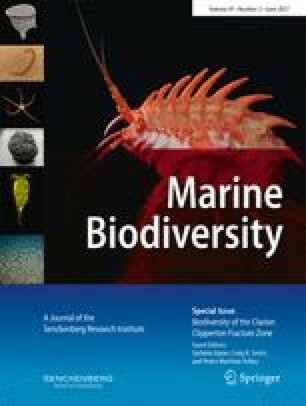 Until a decade ago, the marine gastrotrich fauna of Brazil was virtually unknown, but, since then, there has been an increase in the number of reports of new and known species from the states of São Paulo, Rio de Janeiro, and Bahia. Here, we report new records of five marine gastrotrichs from sublittoral sediments around São Sebastião Island, Brazil, collected by scuba. The genus Acanthodasys (Macrodasyida), represented by two undescribed species, is reported for the first time in the Southern Hemisphere; Crasiella fonseci is reported for the first time in São Sebastião Island and outside of its type locality, and Dendrodasys aff. rubomarinus and Aspidiophorus tentaculatus (Chaetonotida) are reported for the first time in Fome Beach. Dactylopodola todaroi sp. nov. is distinguished from its congeners by the following combination of characters: red ocellar granules, four TbA with two lateral tubes longer than the two medial tubes, five TbL (1 + 1 + 3), and seven TbP. In addition to new geographic records of Gastrotricha, we provide estimates of the diversity of this taxon on the Brazilian coast, as only 3 % of the total coastline has been sampled so far. We further examine our findings in light of a recent survey of the Caribbean ecoregions. This work was supported by grants from Fundação de Amparo à Pesquisa do Estado de São Paulo – FAPESP (2011/50317-5; 2012/08581-0; 2014/23856-0), Conselho de Pesquisa e Desenvolvimento – CNPq (306558/2010-6; 478825/2013-7), and Fundo de Apoio ao Ensino, à Pesquisa e Extensão – FAEPEX (2031/2015). We would like to thank Felipe Pi for the assistance with the scuba diving; Dr. Alexander Kieneke and an anonymous reviewer are also acknowledged for offering suggestions that greatly improved the paper.